Costume Ideas #13: The Rainbow Connection ← You Want Me To Wear What? Do you live in L.A.? Are you planning on going to the West Hollywood Halloween Parade? Do you want to be wildly popular? 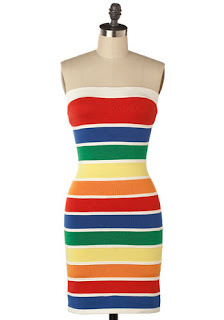 Wear this dress and a “No on Prop 8″ button.